Spoiler alert: Pictures have surfaced of the new Samsung Galaxy S7 and S7 Edge just weeks before the official launch. The pictures of the new flagship in the Samsung Galaxy S line, showed off the body of the S7, and other benchmarks. Maybe no harm done though, as rumors have been floating around about the new S7 and S7 edge for some time now. We have heard sources claim the S7 will sport the same design as the 2015 flagship, and some speculate about a bump in ram to 4gb, and even the return of a Qualcomm processor. 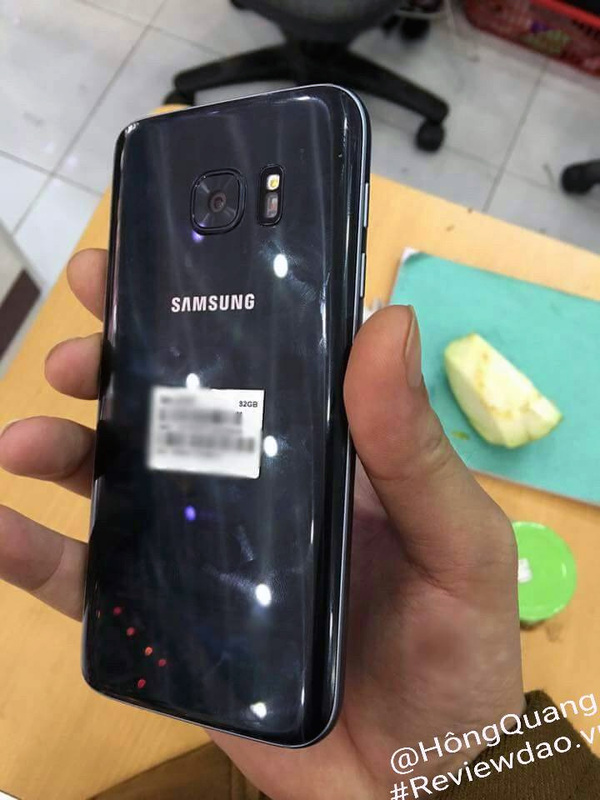 Today’s leaked images of the S7 body were new though, as many of the previously leaked images have been of specs, internals, or only parts of the body. Today’s images give us a lot of insight into the design and have created a buzz, for better or worse. In the “worse column” it looks as though fingerprints are still going to be a problem. The first thing I noticed when I saw the image posted on ReviewDao were the fingerprints on the back. I was hoping Samsung was going to apply a strong fingerprint resistant layer to the glass panels. Maybe they did and maybe they didn’t, but the result is the same, there are fingerprints…again. Although, In the “better column,” we just may be able to say goodbye to the unpopular camera bump. 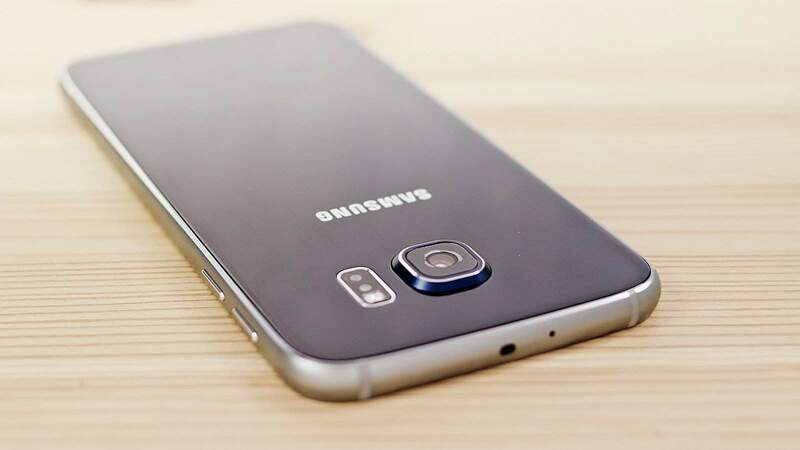 Last year S6 users, and reviewers were not fans of the camera bump on the back. I’m not making any promises though, it might just be wishful thinking and the angle of the photo I saw, but the camera bump looks like it has been significantly shaved down and almost looks to be sitting flush on the device. The slimness of the bump could be caused by the change to a 12mp sensor. “12mp sensor? !” you ask…yeah, that’s another recent rumor. This downgrade in megapixels means better low light photos and a better overall sensor. Although, in my opinion, the change in size of the camera bump is probably caused by the sensor change; I’m still impressed that Samsung was able to subtract most of the protrusion from the phone. The last notable change in the images was the curvature of the edges on the back of the phone. In 3rd quarter of 2015, the Note 5 was released with curved edges on the back, which made it easier to hold in the hand. Many people argued it made more sense to have the curves on the back of the phone rather than on the display. Personally, I liked the curvature, and I’m glad to see it make an appearance on the new S7. Other than a few changes I mentioned above, the design looks mostly the same as last year’s line, judging from the pictures, of course. 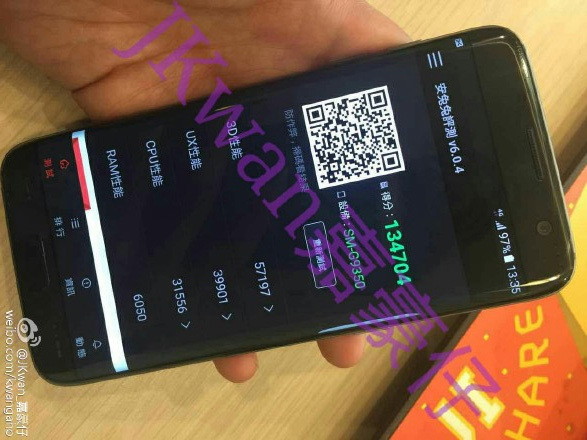 Besides the leaks of the design, a picture showing what looks to be Antutu benchmarks shows off an extremely high overall score of 134,704, a individual score of 6,050 in the RAM department, along with a score of 31,556 in terms of the CPU. Comparing the benchmarks to one of the fastest phones on the market: the iPhone 6s, the S7 was almost on par with all the scores. It beat the 6s in the 3D graphics department, but the iPhone 6s squeaked out the win in the CPU area. If these benchmarks hold true, then we can expect a device that is significantly faster than its predecessor and it should be able hold up against the likes of the iPhone 6s (and many other flagship android phones on the market). With just a few weeks left until the official unveil of the S7, I think we can all expect a few more major leaks and the continuous build up of hype. We want to hear your thoughts, are you annoyed that the S7 will sport a very similar design to its predecessor or are you happy with Samsung sticking to what they know? Leave your comments down bellow and let us know. Previous article Huawei GX8 now available in the U.S.! Next article Confirmed: Samsung Galaxy S7 will have 3600 mAh battery! The Galaxy S7 Edge: Is It Practical?